Another solo performance continuing the theme raised in The Venus Cafe: the conflicts I felt as a person torn between two cultures. In The Mother and the Maid , I went beyond autobiography to consider how Greek myths resonated in my everyday life. 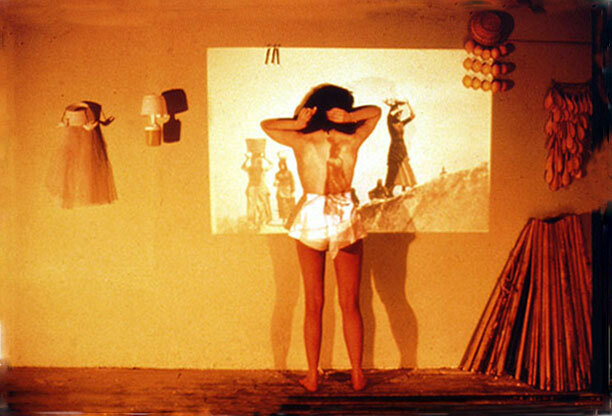 Shown is my back onto which is projected Greek village women. Below is a ceramic plate onto which I project various images. Later in the performance, I dropped the plate and it shattered.